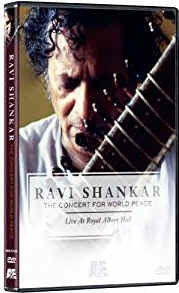 This was my introduction to Ravi Shankar, the famous sitar player born in Benares, India in 1920. He was the first Indian instrumentalist to attain an international reputation. It is interesting to note that in 1962 he founded the Kinnara School of Music in Bombay. In 1965, George Harrison of the Beatles studied sitar with Shankar, and Beatle recordings began featuring Harrison playing the sitar. As a youth, Shankar was a solo dancer who performed with his brother Uday’s Indian dance troupe in Paris. He later married Ustad Allauddin Khan’s daugher, Annapurna. His own daughter “Anoushka Shankar (1981–), who studied with her father, is also a virtuoso sitarist.” See B00000DCI0 for an album by this artist. Here, she joins her father at Carnegie Hall where he first performed as a musician and dancer in 1938. The same year he became a pupil of the great Indian instrumentalist Ustad Allauddin Khan. Among Shankar's many musical compositions are the scores for the motion pictures Pather Panchali (1954) and Apu Trilogy. He has also collaborated with musicians like Zubin Mehta and with composer Philip Glass in their electronic recording “Passages (1990). This is music which is probably still quite exotic for many listeners, but you can be easily seduced into listening if you give the music time to weave its magic spell. As the music progresses you actually can become a bit mesmerized by the sounds of the sitar, tabla and tanpura. The sitar is indigenous to the Indian subcontinent and was actually popularized by Ravi Shankar in the 1960s. It is a fretted string instrument with a gourd-like body and a long neck. It has from 3 to 7 gut strings, tuned in fourths or fifths or both. There is also a lower course of 12 wire strings that vibrate sympathetically with the first set. Shankar believes that a “raga” is an aesthetic projection of an artists inner spirit. This concert presents soothing and exhilarating blends of contemplative raga forms. The Hindu/Urdu word “rag” is derived from the Sanskrit word: “raga.” This means color or passion. When you think of raga, think of an acoustic method of “coloring the mind of the listener with emotion.” Raga is technically one of the melodic formulas of Hindu music having the melodic shape, rhythm, and ornamentation prescribed by tradition. Ascending and descending structure called: “arohana/avorohana.” The “arohana” is the pattern in which a rag ascends the scale. The “avarohana” describes the way a rag descends the scale. Important notes are called “vadi” (a note which is strongly emphasized) and “samavadi.” (a note that is strong but only slightly less so). Characteristic movements to the rag called: “pakad” or “swarup.” for instance the "Pa M'a Ga Ma Ga" is a sign for Rag Bihag. The Indian Swar (notes) are Sa, Re, Ga, Ma, Pa, Dha, Ni. In addition to the main characteristics of “rag” there are some that are attributed to times of the day. There can also be male and female rags. Tradition dictates that certain rags are performed at certain times of the day, seasons or holidays. Playing rags at the wrong time may bring disharmony. At the right time they may bring harmony. Ravi Shankar has also been awarded an honorary knighthood by the Queen of England. Perfect accompaniment to an Indian-inspired dinner or just when you want to take a sound journey. Also perfect for listening to while giving or receiving a massage. Soft ambient lights fall from the sky like twinkling stars descending to earth. A refreshing stillness permeates this album with soothing acoustics and expansive invitations to mesmerizing relaxation. Like a warm mist, MoonWater sweeps across stillness embracing moody textures and unveiling invisible dimensions of soul escape. The consistent mood throughout makes this perfect for relaxation, meditation, contemplation and inspiration. 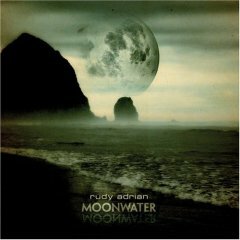 Rudy Adrian creates music you can sink into while your spirit rises within you to a new clarity. Truly Magical! "My Patch" seems to be a funky melodious invitation to danger with hypnotic bouncy road trip appeal. There are elements of the Beatles and Nick Drake mixed with a more edgy electronica. "I Me You I'm Your" seems to filter in from space like a psychedelic haze and then leaves just as quickly. "Computer Song" cascades over itself with creative lyrics and a melodious tension. 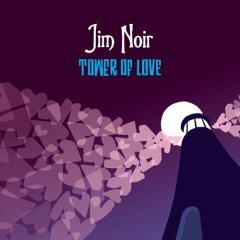 If someone in a tribal forest was riding on a train it might sound like "Tower of Love" but then suddenly you are on a carousel going round and round and a circus appears with a soft orchestral appeal. It is difficult to define a category for some of the songs, but this one has an especially magical innocence. "Key of C" is unexpected but expands the sound in bubbles within bubbles of acoustic appeal. "Climb a Tree" has interesting waterfalls (you hear then again in Turbulent Weather) and explores guitar within an especially beautiful ballad with mellifluous moods. This is an album you can put in the CD player and listen to without a worry in the world. If you love Pink Floyd, Nick Drake, The Beach Boys or The Beatles, you might really fall in love with this sound. 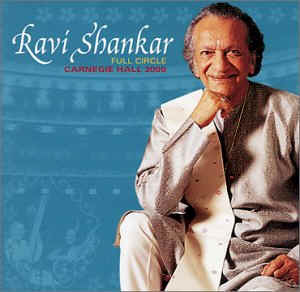 Ravi Shankar left this world in 2012 but his music still continues to inspire with his recorded masterpieces. This concert for world peace is a live recording at the Royal Albert Hall. Ravi Shankar is accompanied by some of his disciples who seemed very devoted. I especially enjoyed watching the tabla player go all out on his drum solo. At first it seemed a bit indulgent of Ravi Shankar to let the attention move away from his sitar playing, but then I thought "How generous this man is." Ravi Shankar played the sitar with such a gentle dignity. However at times he broke out into passionate abandon. His playing commands a deep respect from the listener. At times the audience went mad with applause. Really at times this concert is an ecstatic spiritual experience. You almost go into a emotional musical trance at times while listening. One raga is over 24 minutes long and you will not realize so much time has passed. I watched this concert with a sense of amazement. Of all the concerts I've seen, this is one of my favorites. You will be spellbound along with the audience. The sitar is such an immensely intricate instrument that it takes a real master to bring out its beauty.